In the Balvanera neighborhood is an architectural gem, the Palacio Rossini, which was built by the Italian community in the XIX century. It was the city’s first opera house until the stunning Colón Theatre came along. 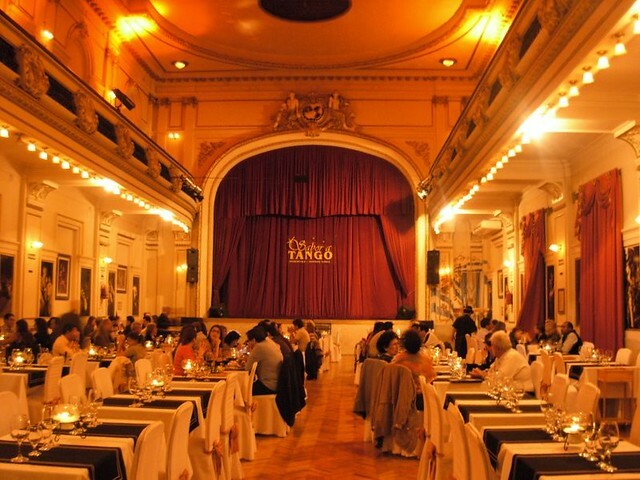 The palace however remained a lively cultural spot and became one of the first tango hotspots of the Buenos Aires scene where some of the most renowned tango artists including the likes of Troilo, Pugliese and Gardel, staged live shows. After being closed down many years, the hidden palace reopened in 2004 and now offers a tango show called Sabor a Tango as well as lessons for beginners.